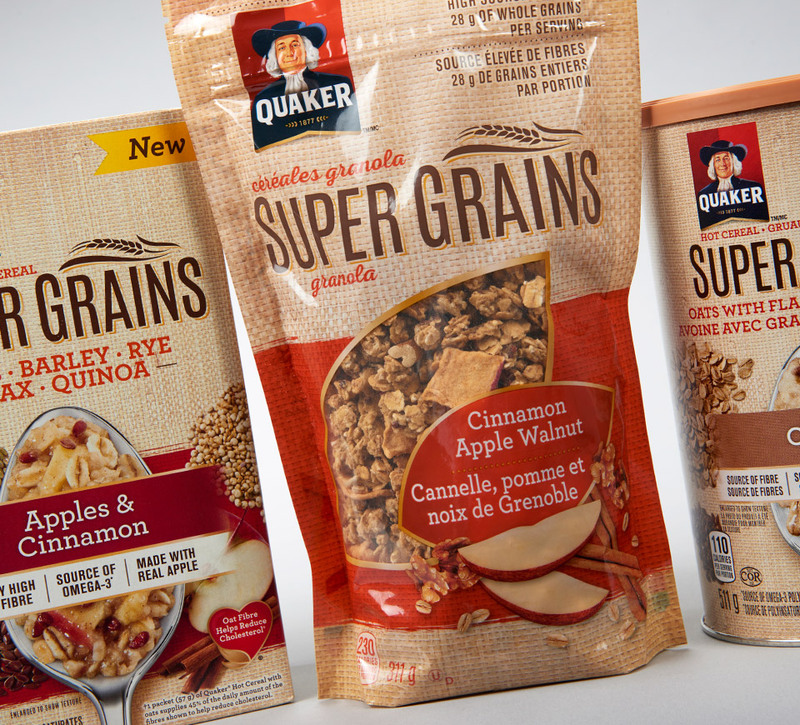 Shikatani Lacroix has a longstanding relationship with PepsiCo Canada and has been working on the Quaker brand for 15 years. 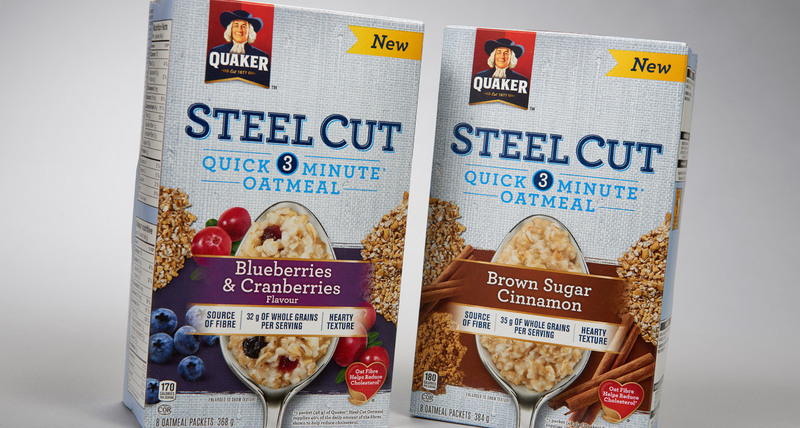 The company needed an innovative packaging architecture and design for two new hot cereal products: Quaker Steel Cut and Quaker Super Grains. 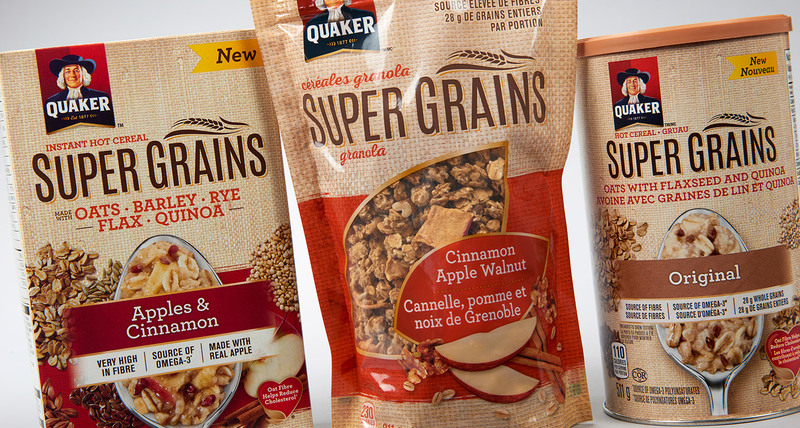 Quaker is an iconic brand boasting over 100 years of leadership in the hearty, healthy hot cereals and snacks category. 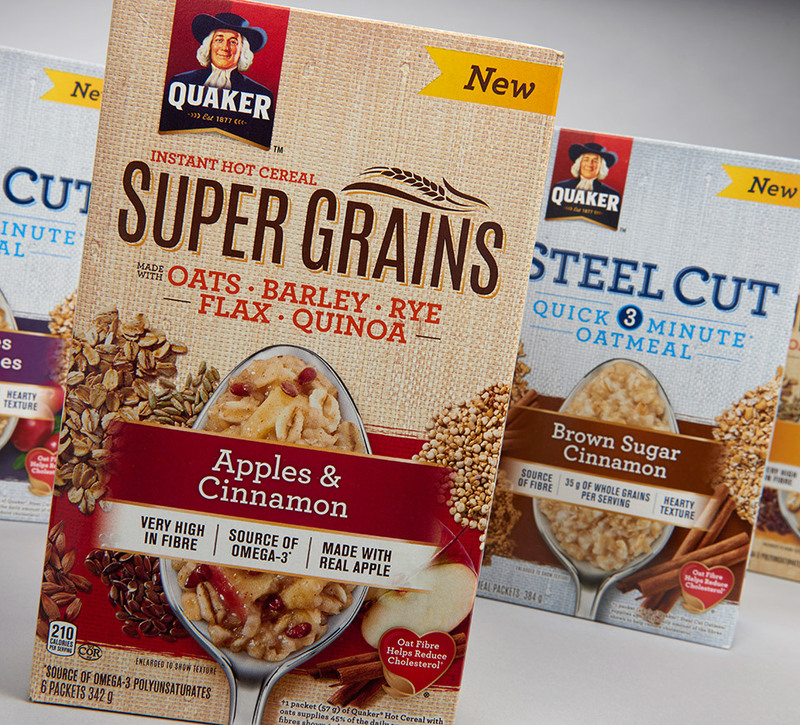 Founded in Ohio when four oat mills decided to join forces, Quaker’s famous smiling Quaker Man was America’s first registered trademark for a breakfast cereal. 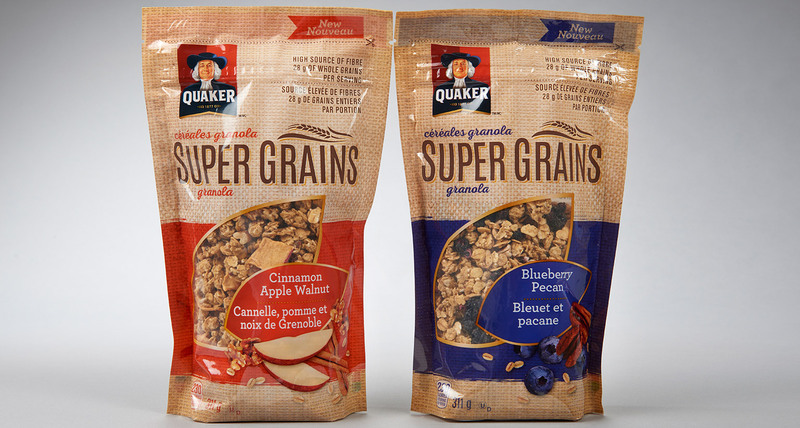 His image is instantly recognizable to parents who are looking for a wholesome breakfast for their families. 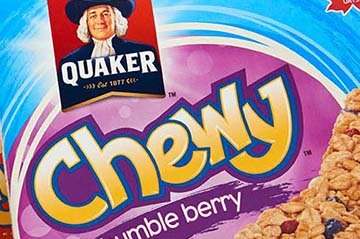 In 2001, Quaker was acquired by PepsiCo. 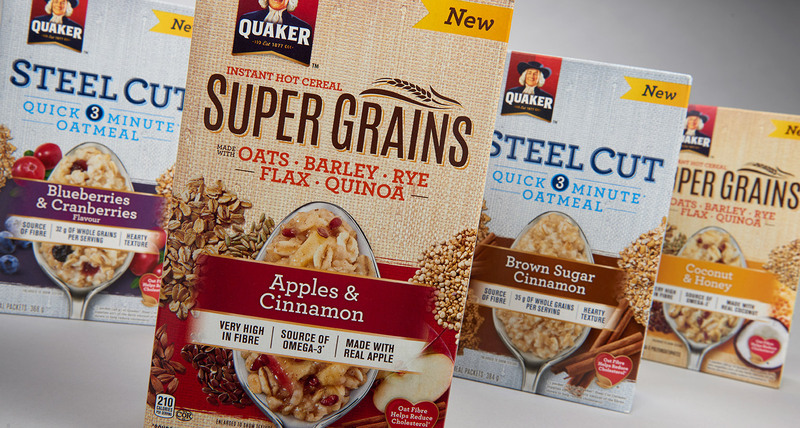 Under PepsiCo, Quaker has continued to dominate the hot cereal category. 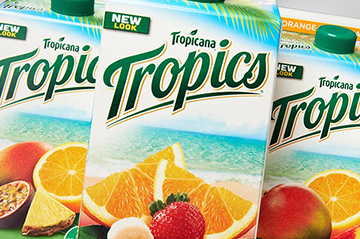 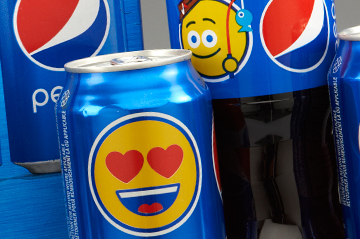 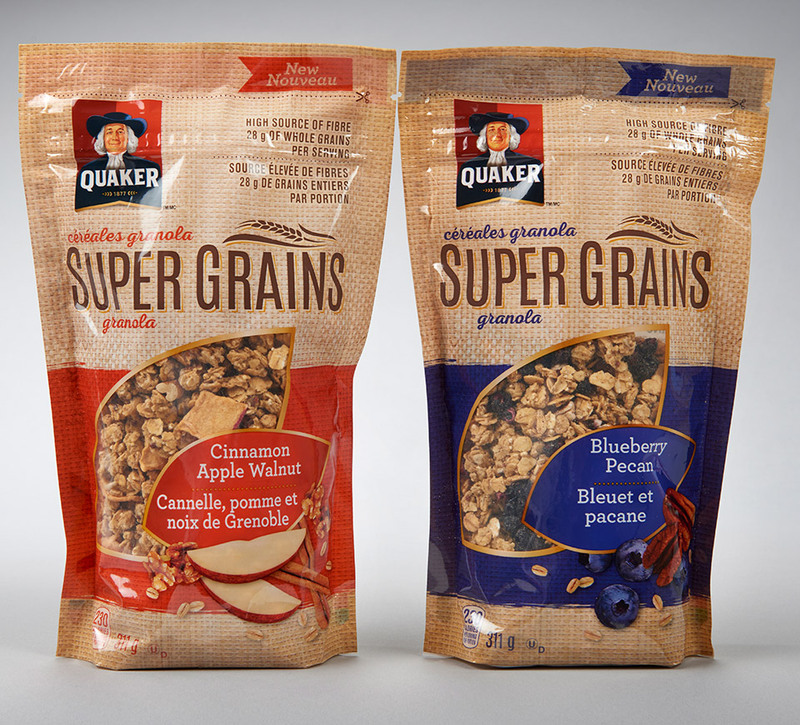 Shikatani Lacroix has a long-standing relationship with PepsiCo Canada and has designed packaging for many Quaker products. 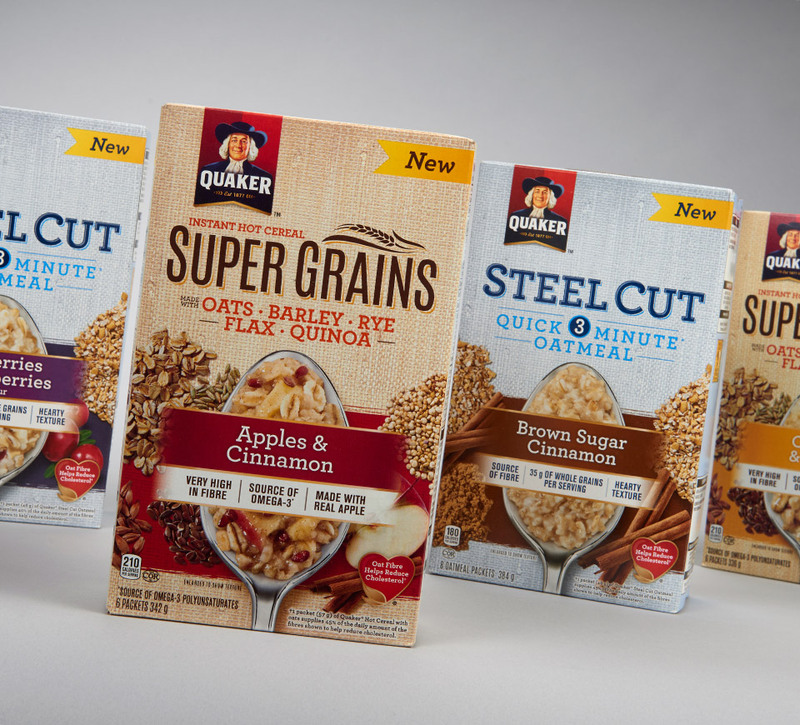 We were asked to develop a packaging architecture for the new Quaker Steel Cut and Super Grains premium brand products. 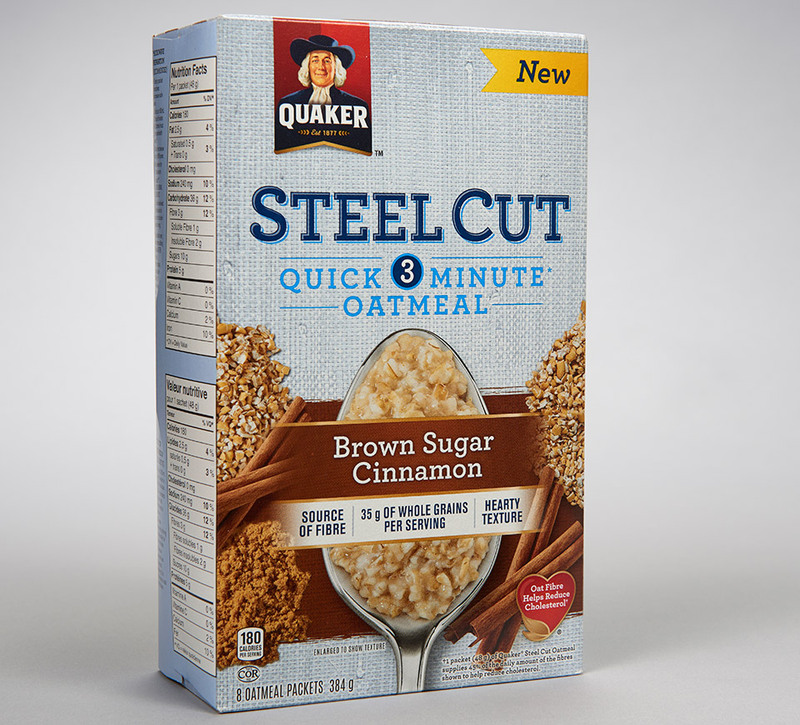 Quaker hot cereals were being challenged by other brands offering premium hot cereals with an increased focus on health benefits and unique ingredients. 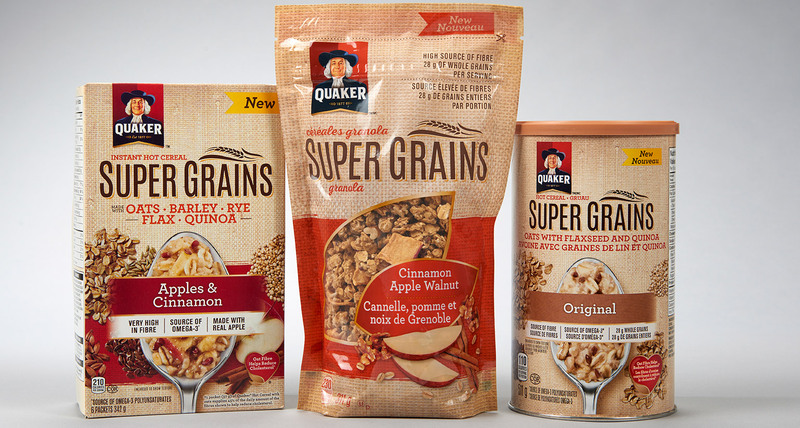 Quaker Steel Cut and Super Grains were created to fill the gap in their hot cereal portfolio, and Shikatani Lacroix Design was asked to provide a packaging architecture and design for the product launch in Canada. 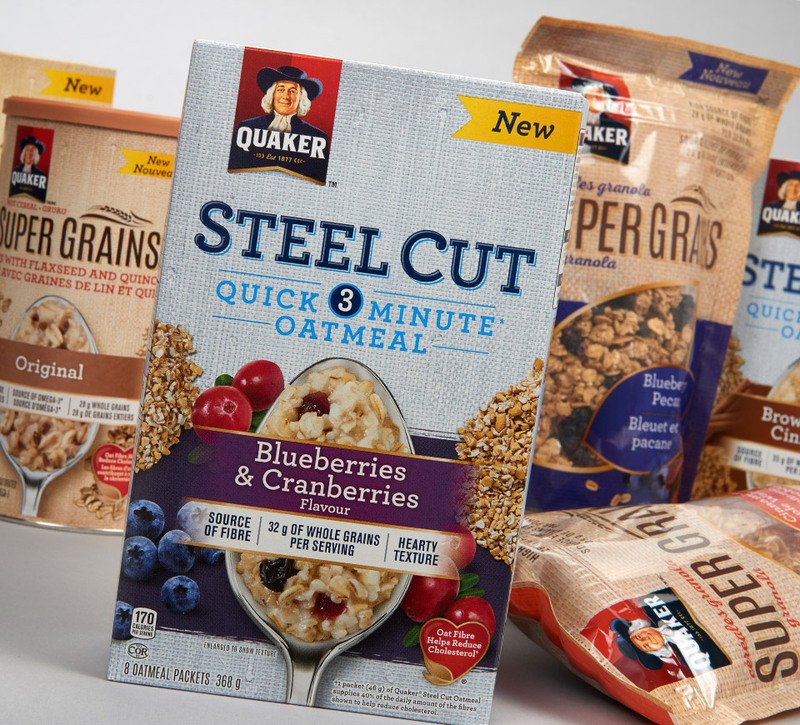 The product portfolio needed to differentiate itself from Quaker’s regular brand and articulate why the product was worth the higher price, while creating an architecture that allows for the addition of future premium hot cereals or other innovations. 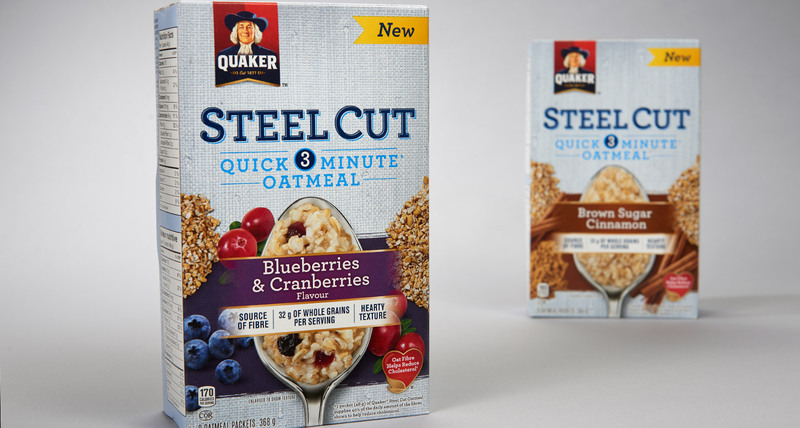 The design also needed to leverage the Quaker brand equities while setting the new products apart as premium products with elevated health benefits. 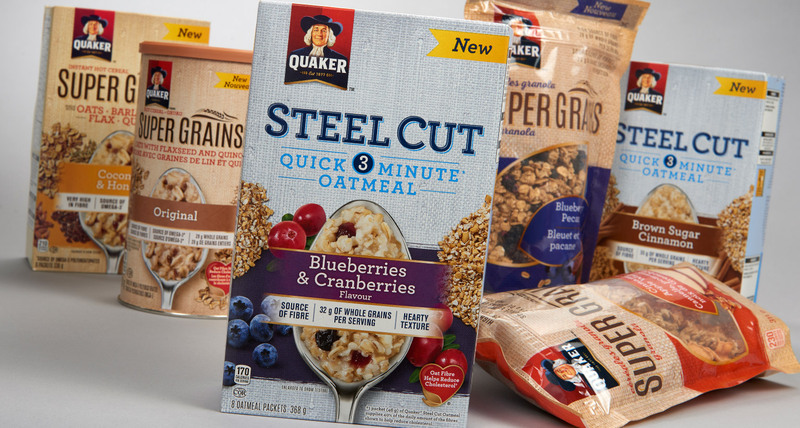 Shikatani Lacroix reviewed the traditional Quaker packaging and determined that certain elements such as the iconic logo would be essential to keep when developing the new communication architecture and package design. 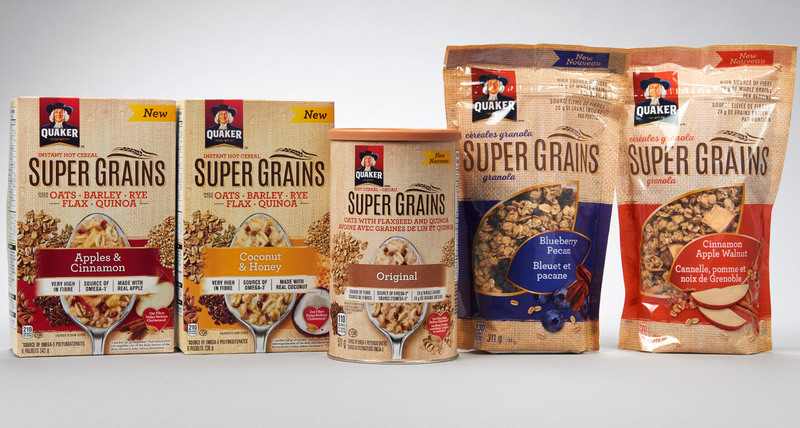 However, there was a need to speak directly about the difference in the new products, including the different texture and nutritional benefits. 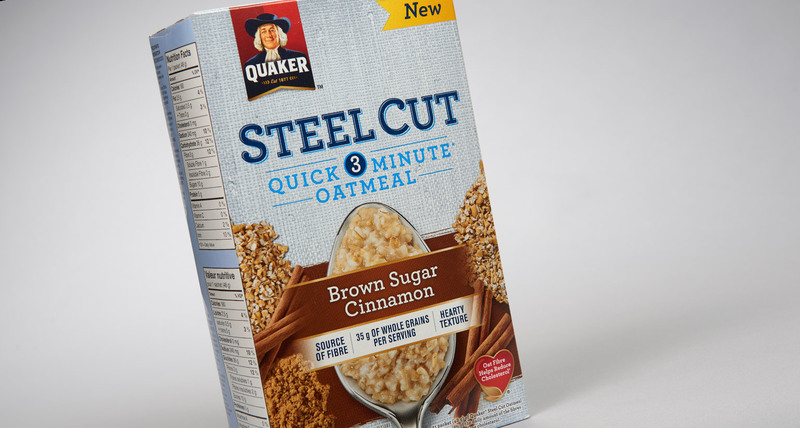 SLD felt that incorporating textural elements would heighten the sense of quality and explored ways to incorporate the color blue, which has been consistently used in designs for Quaker hot cereals. 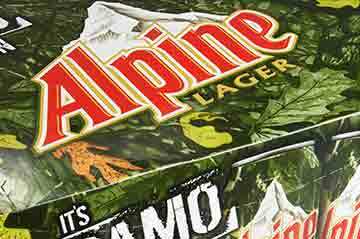 Finding the balance between the master brand and the premium category was the key to the design. 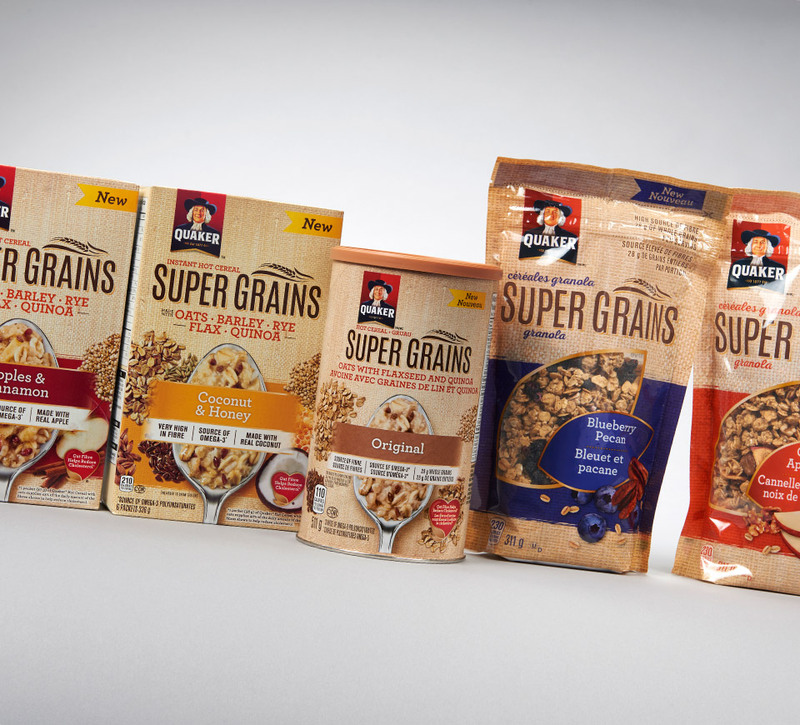 SLD created a design that featured a burlap texture as a background, emphasizing the artisanal quality of the ingredients. 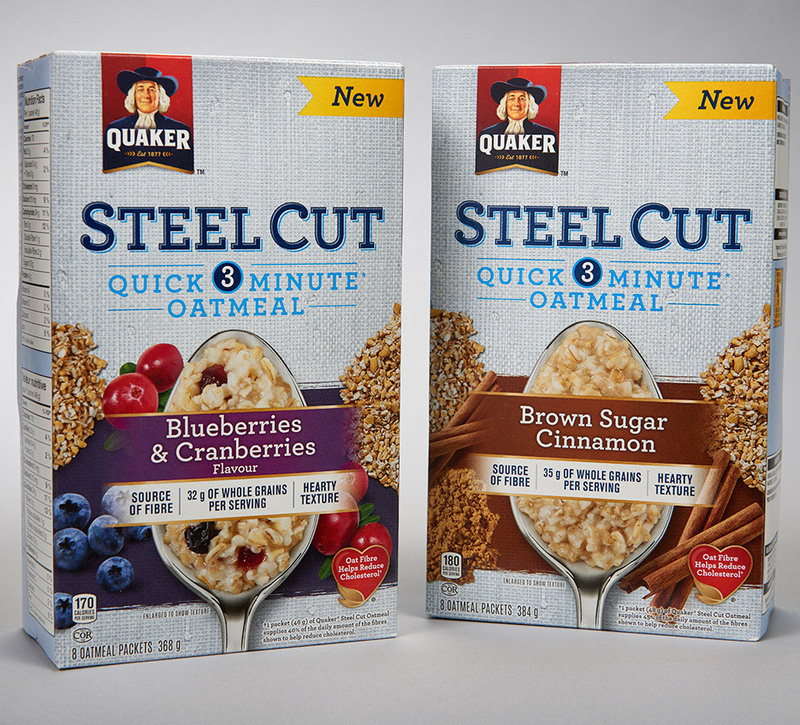 The color blue softened to a paler shade, designated as the color for the Steel Cut products, while the Super Grains were given a warm-oat palette. 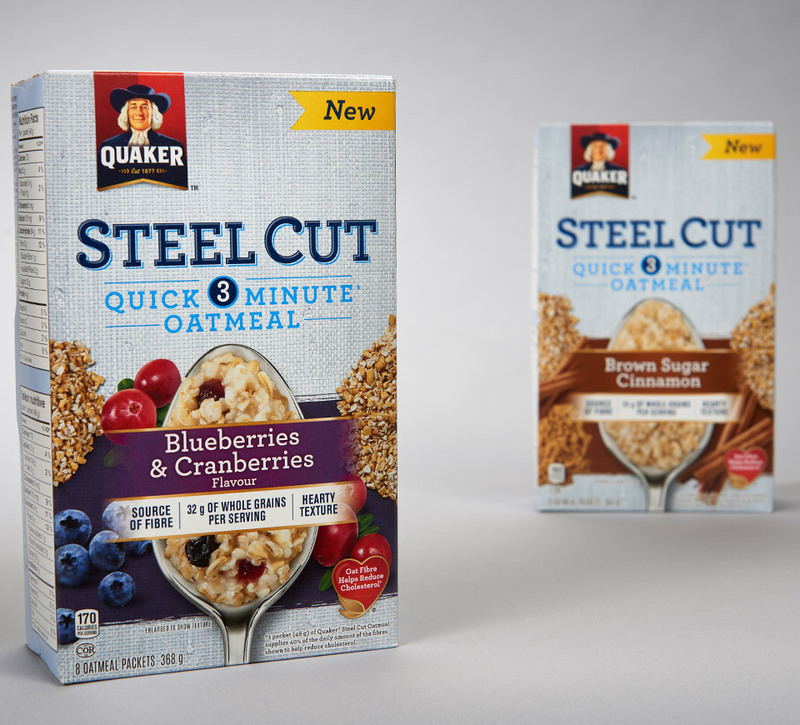 Keeping the texture as a main focus, the spoon concept allowed SLD to show the product up close so customers can see exactly how different it is from traditional oatmeal. 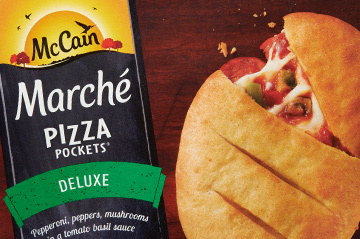 This, along with full-color imagery of the ingredients, created a sense of appetite appeal. 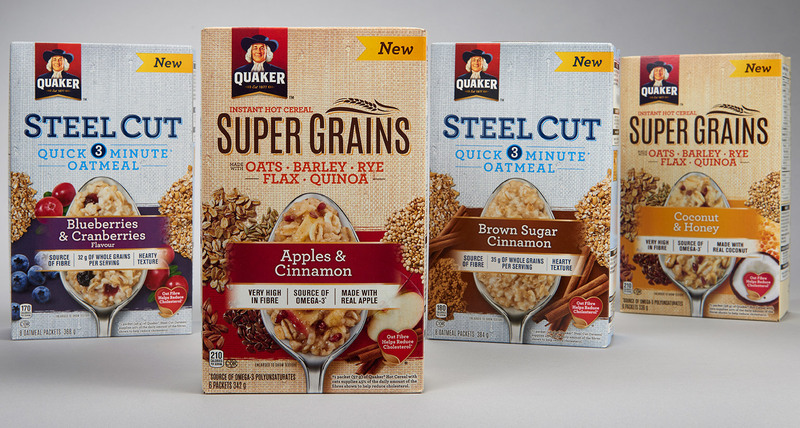 The portfolio also included granola pouches with windows to display the actual product and round canisters that hearken back to the original Quaker Oats’ tin shape. 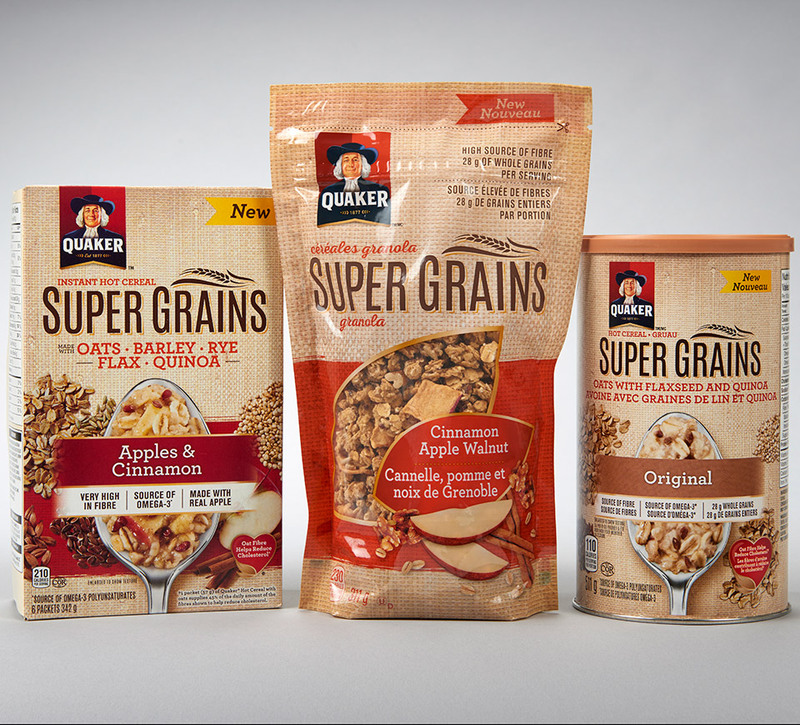 Shikatani Lacroix successfully created a strong product architecture that stands out on the shelf, leverages the strong brand equities of the Quaker name, and communicates the unique, special qualities of the new premium products. 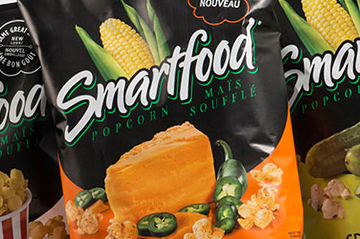 The products have just been launched in Canada and momentum is building as they make their way into the market.